"I hope to see you all turn out on 11/6/2018. Save the date!" With every election, I always wished I could vote. But not being a United States citizen, all I could do is watch from the sidelines and see others make decisions about my life. 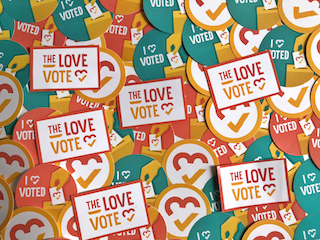 Show Tony love + inspire others + get voting info + get event invites + get stickers + create change!